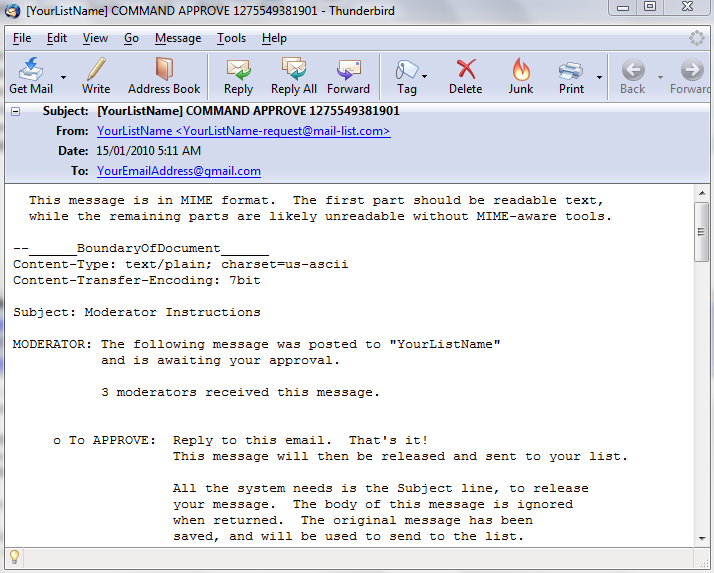 User ManualEmail Discussion Group User Guide List AdministrationHow do I approve a message before it goes out to the subscriber list? Select the radio button preceding "Approve Each Message Posted" and save your settings. Simply reply back to the email and send it in case you are okay with the message. Your message will then be released from the queue. If you have multiple moderators, everybody gets the same message. The first moderator to reply wins. If they Approve the message, it goes to your mailing list. If they Reject the message, it will be deleted, without going to your mailing list. 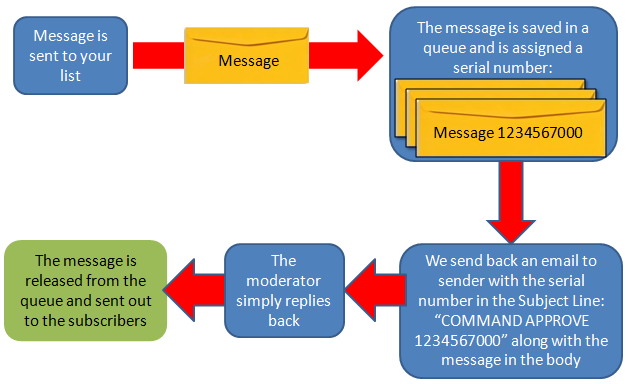 If the second (or third) moderator also replies to a COMMAND APPROVE message, it will be rejected with an error, since the action has already been completed. Prev: How do I disapprove or annotate a message before it is posted to the subscriber list? Next: How do I get a list of the subscribers that have unsubscribed?